The Secret's Out this Weekend- Hallmark's June Weddings ends, Christmas Movies truly begin + Sneak Peek to Summer Nights makes it ALL - a win-win! 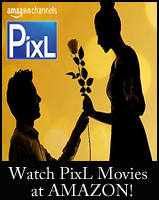 continue on Hallmark Movies & Mysteries! Day and Night... Night and Day!!! Including: Finding Father Christmas, Karen Kingsbury's Maggie's Christmas Miracle, Christmas Encore, The Christmas Note, The Christmas Secret, A Bramble House Christmas, Christmas with Holly, and more! ALL WEEKEND LONG - on HMM! See the Christmas TV Schedule! 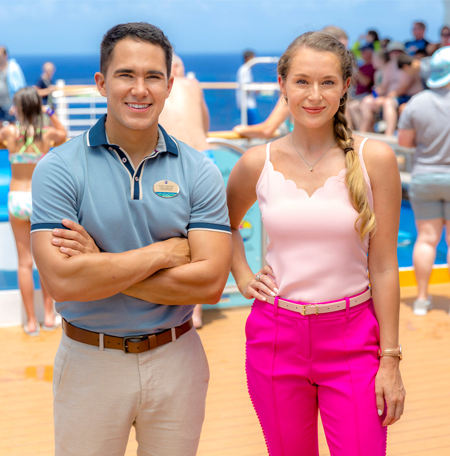 Via Hallmark: While relaxing poolside, the PenaVegas give viewers a sneak peek at the network’s annual Summer Nights programming event, featuring five original movie premieres that celebrate the long, sunny days of leisure and love. Including: Christmas in the Air, Hearts of Christmas, A Nutcracker Christmas, Debbie Macomber's Mrs. Miracle, Magic Stocking, I'll be Home for Christmas, The Christmas Train, Romance at Reindeer Lodge, and more! ALL WEEKEND LONG and then TWO WEEKS more - on HMM! Please note: I have not pre-screened the new movies listed above - please always check ratings before viewing. I hope you all have a very Merry Weekend! It's going to be an Excessively HOT one here in the Midwest, so it's the perfect time to keep cool, stay inside with the family, and watch Christmas movies! 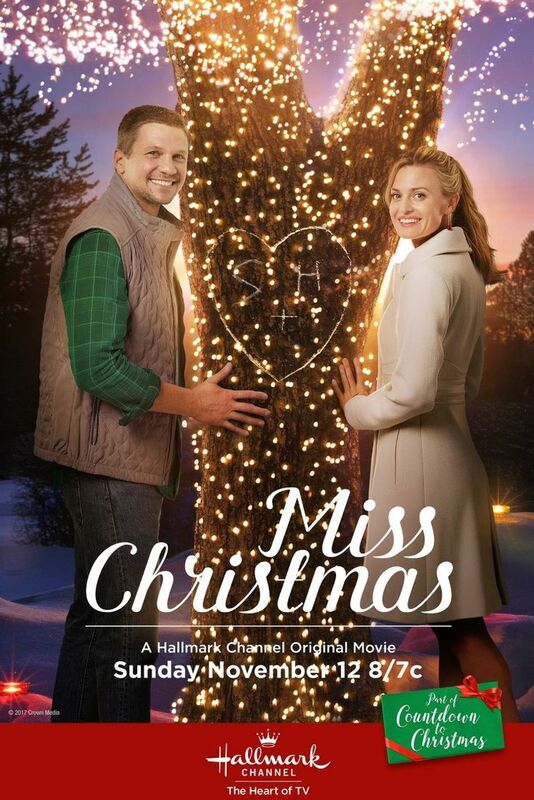 Are YOU READY for CHRISTMAS MOVIES on HALLMARK? 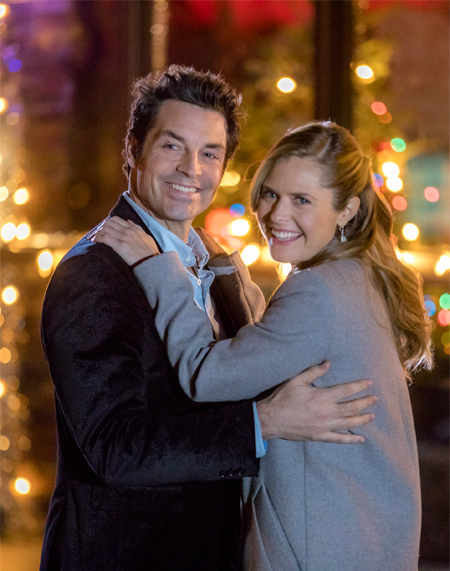 Join Candace Cameron Bure and "Journey Back to Christmas" on Hallmark Movies & Mysteries - TODAY!!! The day we have been waiting and longing for is finally here! 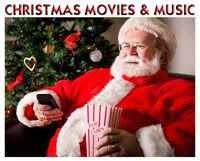 This is the place to be... as Gold Crown Christmas movies begin today, yes TODAY!... on Hallmark Movies & Mysteries! As Hallmark transitions from June to Christmas in July, we succumb to the realization of how quickly this year has already swiftly gone by. It's like taking a trip and you've reached that middle point, you've come too far to turn back, and yet there's still a ways to go. In the meantime, you feel satisfied that you have succesfully arrived at this important milestone, halfway, and decide instead of looking at the miles ahead to your destination point, to stop right here for awhile, refuel, and enjoy the journey! 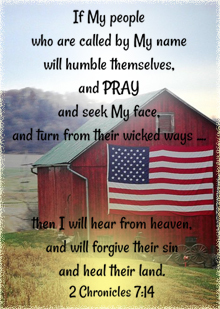 When Christmas in June/July begins, we not only journey back to watching Christmas movies, which is reserved on TV for these special times of year, but there is another journey our hearts travel to, whether by reflex or instinctual, a predictable reaction. As we absorb each festive movie, there's also a reflection of Christmases past, our own journey back to Christmas. Various familiar storylines or even simple Holiday decorations can vividly bring to our minds here in the present - cherished memories from Christmases past. May this crossroad bring to your journey a time of relaxation, rest, reflection, and refueling of your heart and Christmas spirit! For me personally, Christmas is much more than all the glitter, gifts, and lights, and trust me, I love all those things, too! But, my true joy... is my great happiness in knowing the Savior who was born that first Christmas Day, Jesus Christ, that truly gives meaning to the journey of life! Whenever I reach a crossroad, I look to the One who gave me everlasting life on the Cross. If you would like to know more about the Christmas story, please read here. Today's Christmas movie line-up begins at 5pm/4c., and it is filled with many wonderful Holiday movies you are sure to enjoy! from June 29th through July 15th! For those of you, who may not have Hallmark Movies & Mysteries, Christmas movies are also coming to the Hallmark Channel- on July 13th! to see when all your favorites are playing! For those of you who visit here often, you know me, I'm always game for a new Christmas movie! It can be silly, sweet, romantic, heartwarming... as long as it is family-friendly, contains good morals and has an uplifting, positive story... I'm all in! Well, once again, I must share that after reading a synopsis of Freeform's upcoming Christmas movie offering, I have decided I will not be tuning in. The title of this new Freeform Christmas movie is ‘No Sleep ‘Til Christmas,’ which immediately had me imagining a child who was too excited to sleep before Christmas morning, or perhaps a child who was trying to stay up late at night in an effort to try and catch Santa in the act! Both possibilities sound plausible and cute with this title, but are way off the beaten path when it comes to the true story behind the title. "Lizzie (Odette Annable, "Supergirl") is an event planner preparing for her wedding, who lies awake nightly while her fiancé rests peacefully. When a sleep-deprived incident causes her to run into Billy (Dave Annable, "Brothers and Sisters"), a bartender who is just as sleepless and frustrated as she is, they discover that they can only fall asleep while next to each other." Freeform is well known for crossing the immoral line when creating their content, so I cannot say this particular story is surprising. I did want to make you all aware, and inform you that I will not be watching or sharing further details on this movie here. Please let me know what you think in comments below. ONE MORE DAY until CHRISTMAS Movies begin on Hallmark… Welcome Christmas to Your House! 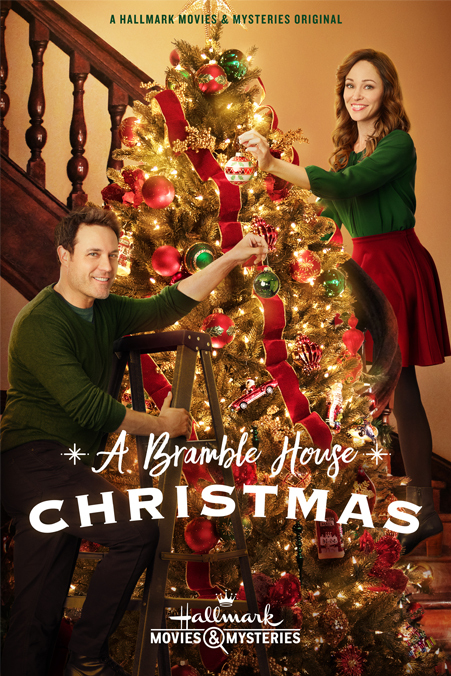 See the Hallmark Movie A Bramble House Christmas during Hallmark Movies & Mysteries Gold Crown Christmas Movie Event from June 29th through July 15th! 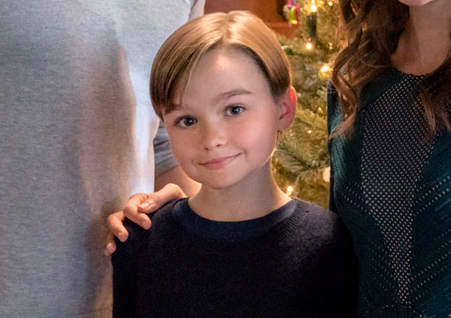 A Bramble House Christmas storyline via Hallmark: While settling his father’s estate, Finn Conrad becomes suspicious as to why the man left a nurse $50,000. His dad knew her for less than two months before he died. Just before Christmas, Finn wants what to reclaim what he considers his family’s money, going undercover to investigate the bed and breakfast the nurse has recently taken over. When Finn meets Willa, he discovers she’s not a conniving gold digger at all, but a woman in need who put the money to good use. When she discovers his true identity, will it keep Willa from ever trusting him again? Christmas Movies are set to begin in just ONE more DAY!!! 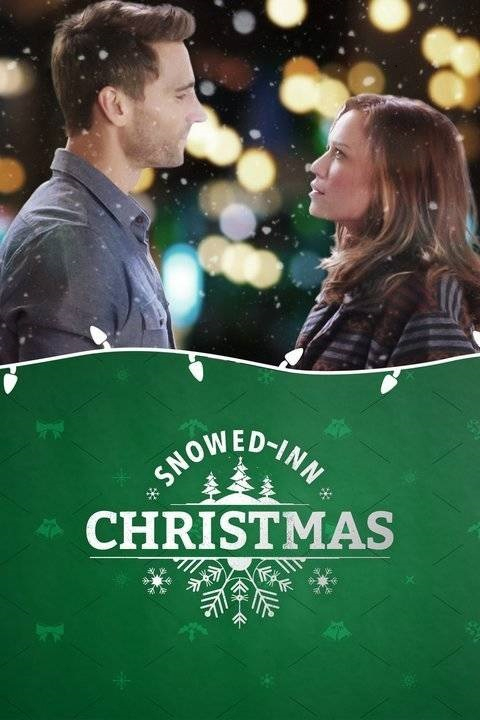 TWO DAYS until CHRISTMAS Movies begin on Hallmark… Come on Ride "The Christmas Train"! 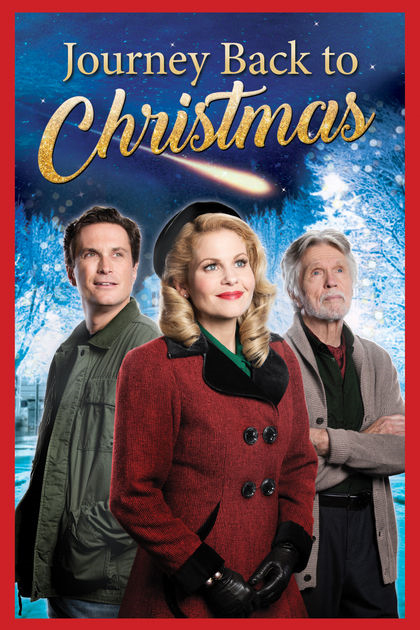 See the Hallmark Hall of Fame Movie The Christmas Train during Hallmark Movies & Mysteries Gold Crown Christmas Movie Event from June 29th through July 15th! The Christmas Train storyline via Hallmark: From Hallmark Hall of Fame, a journalist embarks on a cross-country train ride at Christmas having no idea this journey will take him into the rugged terrain of his own heart. 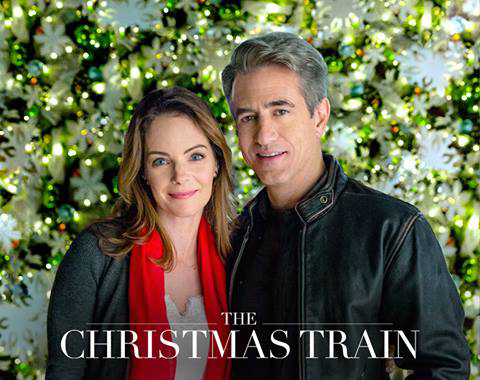 In “The Christmas Train,” disillusioned, globetrotting journalist Tom Langdon (Dermot Mulroney) must get from Washington, D.C. to Los Angeles in time for Christmas. Forced to take the intercontinental trip by train, and determined to chronicle his adventure, Tom finds himself westbound with a variety of characters. On the train is renowned movie producer Max (Danny Glover), Max’s script doctor and protégé Eleanor (Kimberly Williams-Paisley), and Agnes (Joan Cusack) who occupies the cabin opposite Tom’s and seems to know his business better than he does. While all passengers on the Christmas train appear to be headed for the same destination, Tom has no idea that the rugged locomotives taking him across America will instead detour straight into his heart – into rude awakenings, his wildest hopes and dreams, and toward the opportunity for love Tom thought was lost forever. Christmas Movies begin in TWO DAYS!!! Make sure you get your ticket now! when the train leaves the station! Candace Cameron Bure & Lacey Chabert's 2018 Hallmark Christmas Movies - Revealed! According to EW.com, "Bure will anchor a book adaptation of Beth Harbison’s A Shoe Addict’s Christmas. The Fuller House star plays Noelle, a holiday hater who toils in a department store in which she is accidentally locked on Christmas Eve. There, she meets a woman who identifies herself as Noelle’s guardian angel and introduces her to several “ghosts” of Christmases past, present, and future." According to EW.com, "Chabert will star in a different book adaption: Pride and Prejudice and Mistletoe, which is based on Melissa de la Cruz’s book of the same name. In a Yuletide-themed, gender-swapping update of the classic Jane Austen novel, Chabert plays Darcy Fitzwilliam, a smart and successful woman who has a glamorous dating life but has not fallen in love. She is also short on Christmas cheer. When her mother becomes sick, though, she returns home, setting in motion a turn of events that could lead to a very happy New Year." Both of these Christmas movie projects sound amazing for Candace and Lacey! Candace's movie most likely will air the weekend of Thanksgiving, while Lacey's Christmas movies typically air either early or mid November! 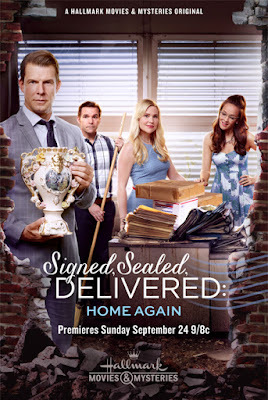 Whenever they play- I'm sure Hallmark Channel viewers will be in for a wonderful treat! THREE DAYS until CHRISTMAS Movies begin on Hallmark… it’s a "Christmas Encore" every day! 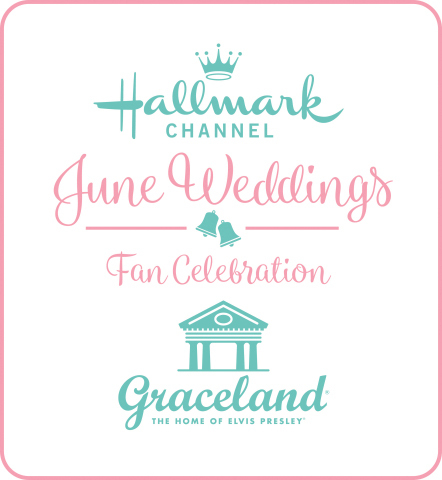 See the Hallmark Movie Christmas Encore during Hallmark Movies & Mysteries Gold Crown Christmas Movie Event from June 29th through July 15th! Christmas Encore storyline via Hallmark: An aspiring New York actress (Maggie Lawson) who is considering abandoning her dream and taking a real job in Chicago following years of near-misses and bit parts, lands the role of a lifetime in a new production of A Christmas Carol. However, the play’s director (Brennan Elliott) is a successful TV actor, and the one she blames for her biggest professional disappointment. Christmas Movies begin in THREE DAYS!!! "God Bless Us... God Bless Us, Everyone!" 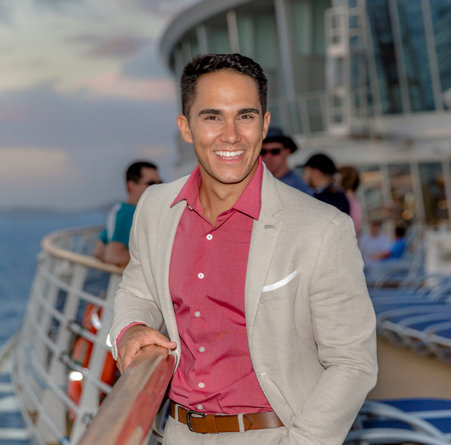 Love at Sea - a Hallmark Channel "Summer Nights" Movie starring Carlos and Alexa Penavega! 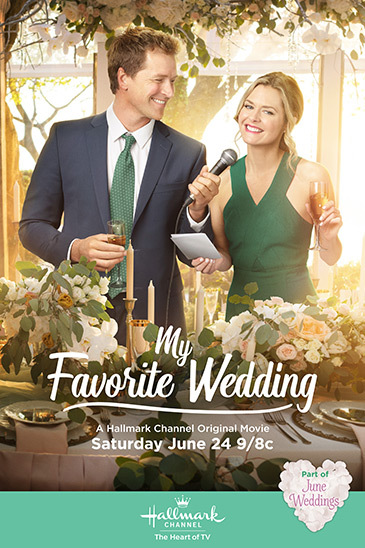 Storyline via Hallmark: It’s been a year since Olivia Grayham, a child of the hotel business, struck out on her own as an event planner. 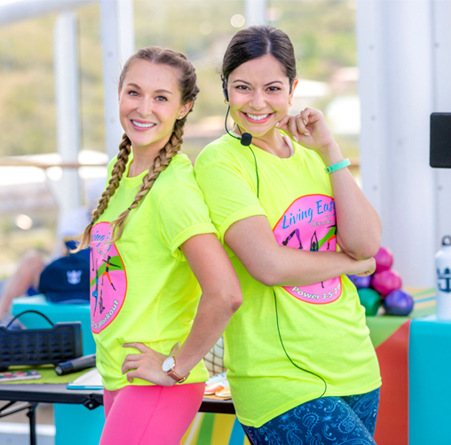 It’s been a struggle but she’s finally poised for a major career boost thanks to her best friend Alexandra, who is taking her wildly popular YouTube lifestyle series onto the high seas for a Caribbean cruise. 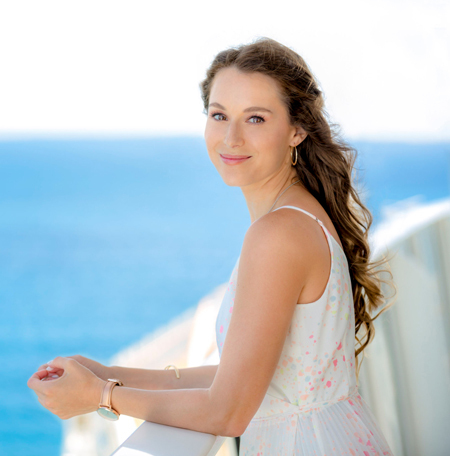 Tasked with organizing a multifaceted event for the fans onboard and online, Olivia has plotted the journey down to the last detail and planned for every possible contingency, or so she believes. 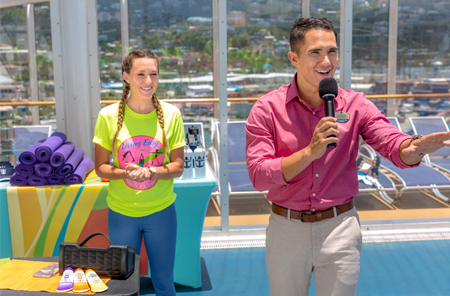 She’s no sooner onboard than she faces her first curveball: the ship’s longtime cruise director has been reassigned and instead she will be working with his second-in-command, Tony Rieves, who has already begun putting his stamp on the ship’s activities. With no option but to adjust to each unexpected development that comes her way, Olivia realizes that there are some things that simply can’t be planned or anticipated – like falling love. Credit: © 2018 Crown Media United States, LLC | Photo: Jeremy Lee/Alexx Henry Studios, LLC. 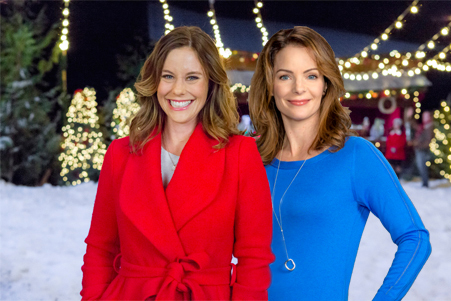 Has ACTION been called on Hallmark Christmas Movies starring Kimberly Williams-Paisley and Ashley Williams? 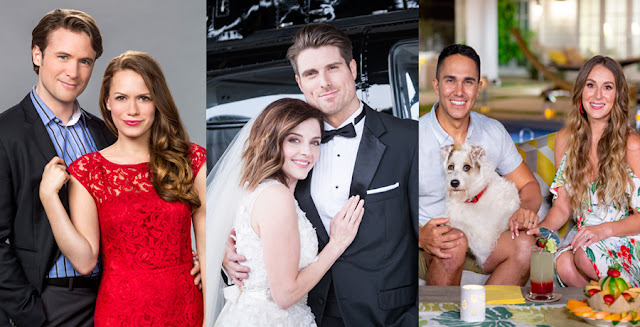 "Lights, Camera, Christmas" Part 1 and Part 2 (wt) are a pair of Hallmark Christmas movies that will star sisters Kimberly Williams-Paisley ("Father of the Bride") and Ashley Williams ("October Kiss")! We first learned these movies were potentially "in the making" in early 2017! However, during the 2017 Christmas season sisters Kimberly and Ashley created separate Hallmark Christmas movies, Hallmark Hall of Fame's "The Christmas Train" and "Christmas in Evergreen". When I interviewed Ashley Williams in the Fall of 2016, she expressed a great desire to have the opportunity to work with her sister. Plans then were only in their infancy... very early, beginning stages, but even still, Ashley was quite enthusiastic over the prospect! IMDB summarizes these upcoming movies, with the working title: "Lights, Camera, Christmas," as "Two sisters and a holiday to remember." So... since Kimberly said we may "get to (see) them at some point in the next couple of years,” it sounds like these two Christmas movies are still in the development phase, which is unfortunate because I know many have been looking forward to seeing these movies since that first hint was given! Until they do come, I know we'll be sure to keep a look-out for them and the Williams sisters in hopefully more Hallmark movie projects, including Kimberly Williams-Paisley in a new Darrow & Darrow mystery movie on Hallmark Movies & Mysteries! Lori Loughlin returns in Garage Sale Mysteries Month this August! STUDIO CITY, CA – June, 26, 2018 – Following the success of last year’s programming event, Lori Loughlin is back as Jennifer Shannon the curious sleuth with a knack of discovering not only garage sale treasures but foul play. Hallmark Movies & Mysteries unravels four new original “Garage Sale Mysteries” every Sunday in August starring Lori Loughlin (“When Calls the Heart,” “Fuller House”), Sarah Strange (“Men in Trees,” “Life as We Know It,”), Steve Bacic (“When Calls the Heart”), Eva Bourne (“When Calls the Heart”) and Kevin O’Grady (“You Me Her”). “Garage Sale Mysteries: The Pandora’s Box Murders,” Premieres Sunday, August 5, (9 pm ET/PT) Garage sale guru and amateur sleuth Jennifer Shannon (Loughlin) agrees to appear on a new reality TV series, where she comes in contact with a mysterious puzzle box, in which the box’s now-deceased creator may have placed the clue to her killer. When the dead woman’s daughter-in-law is found dead just a few days later, Jennifer’s curiosity once again places her in harm’s way as she embarks on her own unorthodox investigation of the murders. 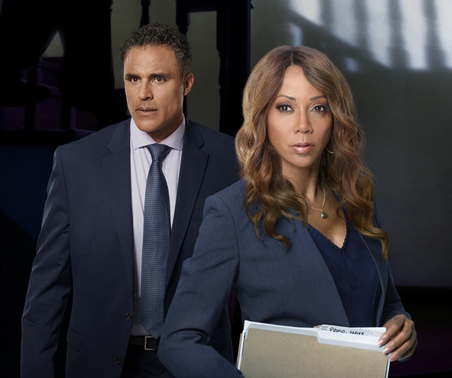 “Garage Sale Mysteries: The Mask Murder,” Premieres Sunday, August 12, (9pm ET/PT) Garage sale guru Jennifer Shannon (Loughlin) discovers a dead body in the storage locker she and business partner Dani (Strange) have purchased at auction. When further inspection of the locker’s contents includes plaster “death masks,” and one of those masks perfectly matches the dead woman’s visage, Jennifer’s “inner sleuth” kicks into overdrive as she pieces together the clues that will lead to the killer. “Garage Sale Mysteries: Picture a Murder,” Premieres Sunday, August 19, (9pm ET/PT) After taking on consignment a vintage camera collection following the death of a local collector, garage sale guru and amateur sleuth Jennifer Shannon (Loughlin) becomes involved in the search for a killer when an undeveloped photo in one of the cameras leads her to believe that the man might have died from very unnatural causes. “Garage Sale Mysteries: Murder in D Minor,” Premieres Sunday, August 26, (9pm ET/PT) When a local art collector dies and his expansive collection is auctioned off, garage sale guru and amateur sleuth Jennifer Shannon (Loughlin) and business partner Dani (Strange) purchase a rare piece. However, when the provenance of the entire collection comes into question, and Jenn determines that the man may have a secret stash of ill-gotten treasures hidden away, she finds herself investigating a pre-meditated murder. 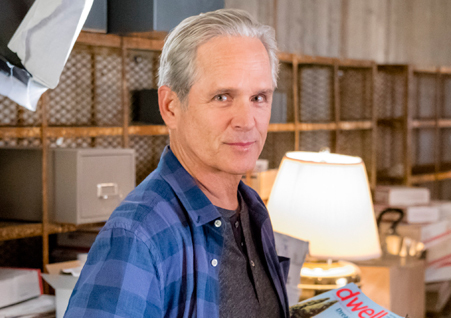 Hallmark Movies & Mysteries premiered four new original Garage Sale Mysteries movies in August 2017, making the network the number one ad-supported cable network across the four Sundays. The “Garage Sale Mysteries” franchise is a Front Street Pictures Production with Harvey Kahn producing stories inspired by the “Garage Sale Mystery” books by Suzi Weinert. 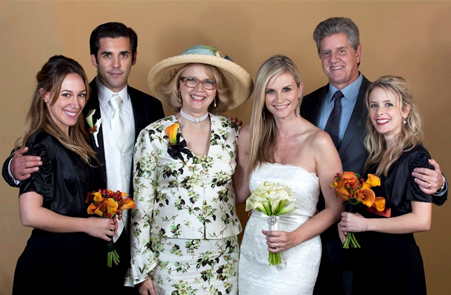 Hallmark Movies & Mysteries is the second 24-hour linear channel under the Crown Media Family Networks umbrella. Distributed in 68 million homes across the United States, Hallmark Movies & Mysteries is one of the fastest growing networks in cable and a leading destination for quality, family friendly entertainment. Launched in 2008 as Hallmark Movie Channel, the network was re-branded in fall of 2014, transitioning into Hallmark Movies & Mysteries. True to its name, the channel brings the lighter side of the suspense and mystery genres into focus with rich, dramatic, and thought-provoking storytelling. The network’s programming lineup features a unique mix of new, original movies, presentations from the acclaimed Hallmark Hall of Fame library, and such time-honored acquired series as “Murder, She Wrote,” “Matlock,” “Hart to Hart” and “Diagnosis Murder”. The channel is also home to the annual, eight-week holiday programming event “Miracles of Christmas,” which helps viewers celebrate the season with new, original movies and holiday favorites. Today, June 25th...is only 6 months until December 25th, Christmas Day... 182 days and so many hours and minutes, according to my Countdown Clock!!! 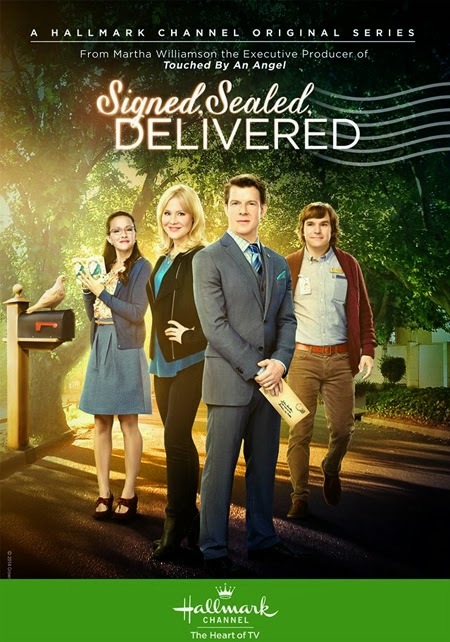 Holiday Engagement storyline via Hallmark: Jilted by her high-powered fiancé just before Thanksgiving, and terrified of disappointing her demanding mother (Shelley Long), Hillary Burns (Bonnie Somerville) hires David (Jordan Bridges), an unemployed artist to pretend to be her fiancé over the holiday weekend. She soon discovers however, that the hired replacement may not be a replacement after all – but the real thing. 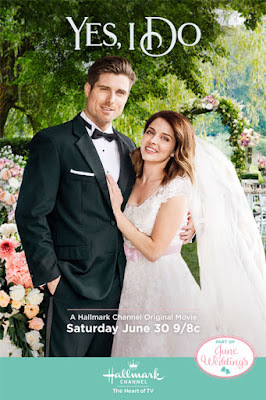 Due to this being the end of Hallmark's June Weddings month, I thought "Holiday Engagement" would be a fun, entertaining movie to watch - because it includes an engagement and a wedding! If you want a movie that will make you laugh and bring a smile to your face, this one is pretty much guaranteed to do just that! "Holiday Engagement" is an absolute riot, an unforgettable wonderful treat, from the moment Hillary (Bonnie Somerville) is dumped by her boyfriend, Jason, and schemes with her best friend on taking a pretend fiancé, David (Jordan Bridges), home for Thanksgiving! The scene where Hillary and David, I mean Jason (wink! wink! ), sing together at the piano is my favorite, along with the restaurant hilarity, insightful sister scenes, planning a pretend wedding, surviving a bridezilla at the bridal shop, an exploding turkey, and so much more! Through it all... somehow Hillary finds true love, but with which Jason?... the real one, or the guy pretending to be him? 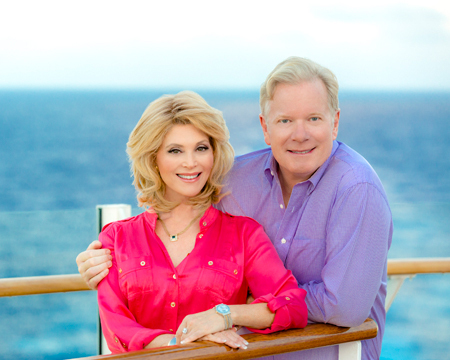 If you don't know, you'll have to watch "Holiday Engagement" to see! You can watch "Holiday Engagement"
Christmas Movies begin in FOUR DAYS!!! Please share in comments below! 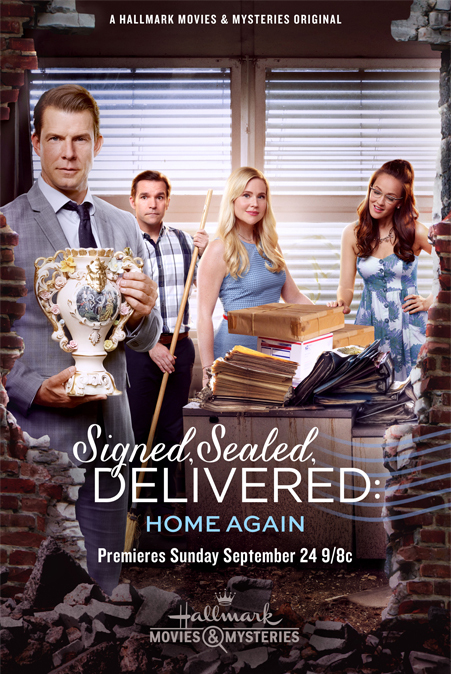 Jack Wagner, Josie Bissett, Andrew Walker, and Merritt Patterson! Need I say more? 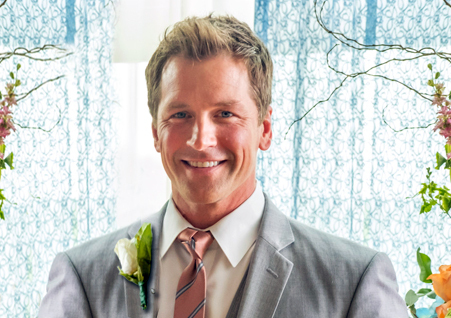 This Weekend it's Hallmark Channel's June Weddings Wedding March #4! I hope you all have a Wonderful Weekend! I'm looking forward to checking out both of these movies. 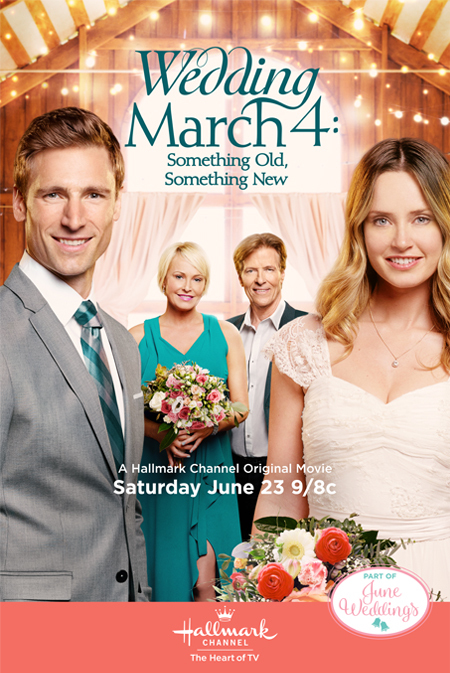 With each new movie in the Wedding March series, it's been a joy to see the development of Mick and Olivia's love re-blossom, as well as that of their family members and guests, who have visited and married at the inn... of course, with just a few minor mishaps along the way! (ha! ha!) But, in the end, love conquers all and saves the day! 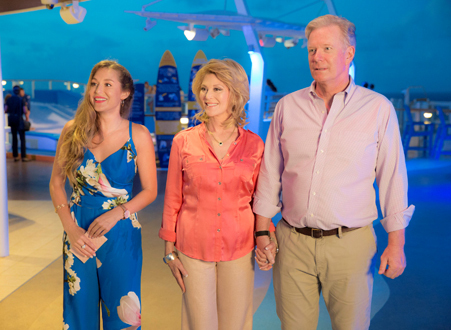 It should be interesting to see where movie #4 takes our lead couple and their many visitors! 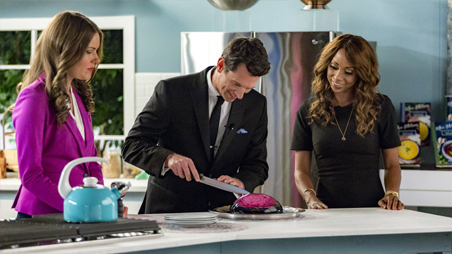 Love's Last Resort looks like it could be a fun, comedic, yet romantic love story. As I shared above, it is rated TV-PG, so please keep that in mind. I am hoping it will be a sweet little movie, an amusing tale as our lead actress has to take this trip in order to discover the true love she's been seeking - perhaps, originally, in the wrong place! Plus... Can you believe it? 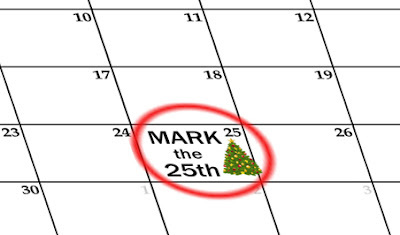 By this time next week (those of us who have Hallmark Movies & Mysteries) - we'll be watching Christmas movies! See the schedule *here*! Enjoy this first official weekend of Summer, Everyone! 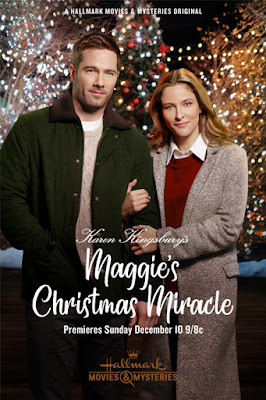 See the Hallmark Movie The Christmas Homecoming during Hallmark Movies & Mysteries Gold Crown Christmas Movie Event from June 29th through July 15th! The Christmas Homecoming storyline via Hallmark: A military widow (Julie Benz), whose faith in Christmas has lapsed, rents an apartment to a handsome Army Captain (Michael Shanks), recovering from an injury in battle, and whose faith in Christmas is inspirational. As they team up to save the town’s military museum with a Christmas fundraising event, these two “wounded birds” find themselves falling in love -- and being healed by the magic of Christmas. Christmas Movies begin in ONE WEEK!!! It’s Christmas in June/July... Almost Again! 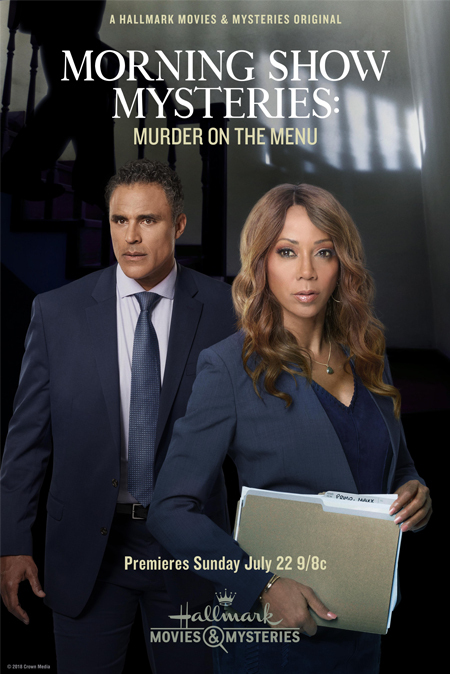 Storyline via Hallmark: Beloved chef, restaurant owner and morning show segment host Billie Blessings becomes a key player in a deliciously deceptive murder mystery when a body is found in the trunk of her on-camera celebrity guest chef’s rental car. 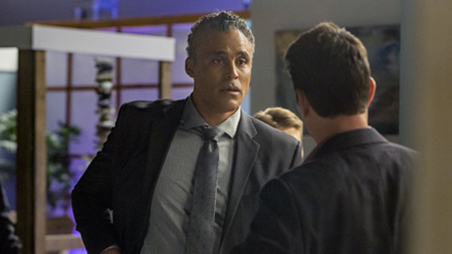 After the chef returns to the show and is implicated in a prior murder, Billie is targeted for the on-air ambush, even though she’s pretty sure the guy didn’t do it. Now caught in the middle of this mess, Billie must uncover out who the killer is, without compromising the investigation led by Ian Jackson, the cop with whom she has a complicated history. Get those DVRs ready now! CHRISTMAS Movies are coming fast and you want to be ready! 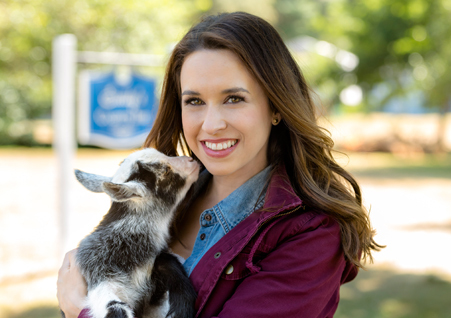 Christmas in July will not only be a sweet treat of the refreshing Christmas movies we loved from last season, but Hallmark will also be gifting us with a Preview Show, hosted by one of Hallmark's most prominent leading ladies, Lacey Chabert! Southern Living reports, "On Saturday, July 21st at 10pm/9c (time updated! 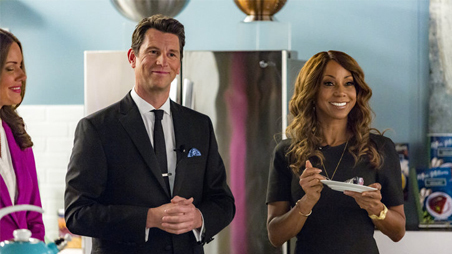 ), Hallmark Channel will air an exclusive special, titled Hallmark Channel’s Christmas First Look. 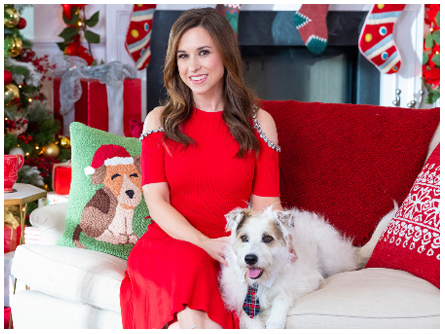 Lacey Chabert will take viewers on a behind-the-scenes journey of some of the first brand-new original holiday movies that will make up this year’s Countdown to Christmas, including an exclusive first look at “Christmas Joy,” starring Danielle Panabaker. 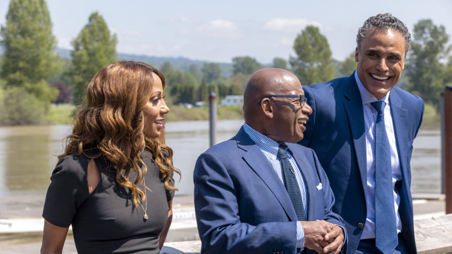 If that doesn’t sweeten the deal enough, Happy the Dog (Hallmark’s adorable adopted pet and proclaimed pet ambassador) will be co-hosting the exclusive special." July 13th through July 28th! See the Christmas Movie Schedule - *Here*! 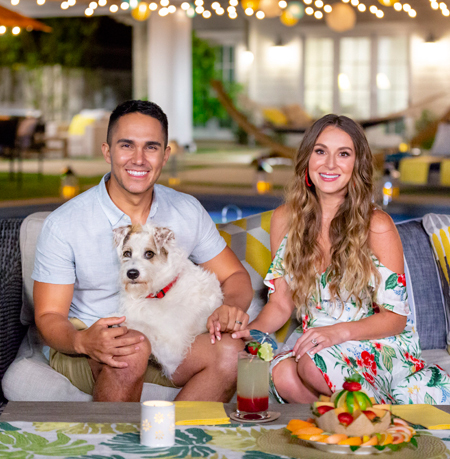 Alexa and Carlos PenaVega host Hallmark Channels “2018 Summer Nights Preview Special!" 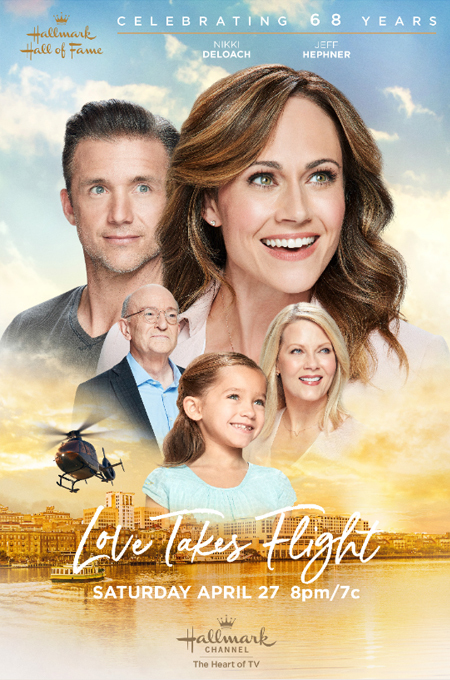 UPDATE: Correction has been made to the Hallmark Press Release below, regarding the Summer Nights Preview Special air date. The show will be airing Saturday June 30th at 11p.m./10c. following the premiere of the last "June Wedding" movie "Yes, I Do". STUDIO CITY, CA – June 19, 2018 – Alexa PenaVega (Spy Kids) and Carlos PenaVega (“Big Time Rush”) usher in a season of summer fun when they host Hallmark Channels “2018 Summer Nights Preview Special,” premiering Saturday, June 30 (11:00 p.m. ET/PT). 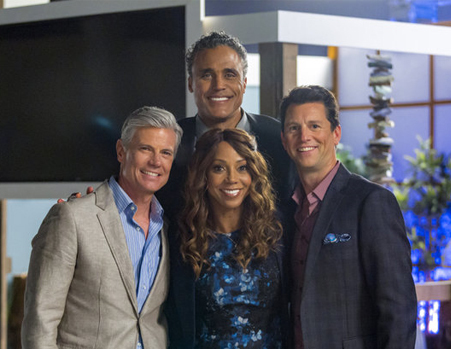 While relaxing poolside, the PenaVegas give viewers a sneak peek at the network’s annual Summer Nights programming event, featuring five original movie premieres that celebrate the long, sunny days of leisure and love. During the half-hour special, the PenaVegas share exclusive clips from all five Summer Nights movies, starting with “Love on Safari” starring Lacey Chabert (“Party of Five,” “Moonlight in Vermont”) and Jon Cor (“Lost in Space”) premiering Saturday July 28 (9 p.m. ET/PT). “A Summer to Remember” starring Catherine Bell (“JAG,” “Army Wives” and Cameron Mathison (“All My Children,” “Entertainment Tonight”) follows, premiering Saturday, August 4 (9 p.m. ET/PT). 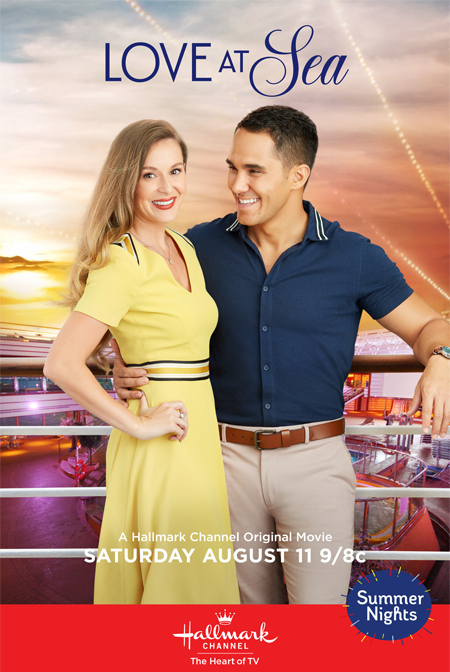 Next up is “Love at Sea,” airing Saturday, August 11 (9 p.m. ET/PT) starring our hosts Alexa and Carlos PenaVega, followed by “Pearl in Paradise” on Saturday, August 18 (9 p.m. ET/PT), featuring Jill Wagner (“Wipeout”) and Kristoffer Polaha (“Ballers,” “Get Shorty”). 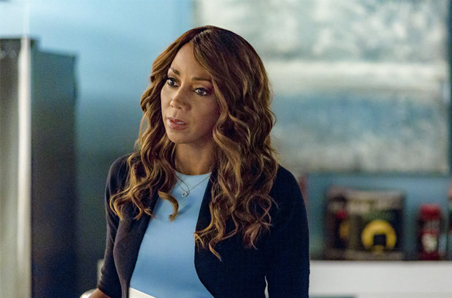 Autumn Reeser and Marc Blucas star in the final Summer Nights movie “Season for Love,” premiering Saturday, August 25 (9 p.m. ET/PT). “2018 Summer Nights Preview Special” is a Pleasant St. Entertainment production. Kristi Foley serves as producer. 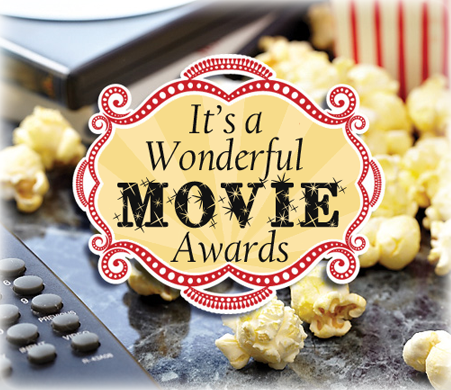 Thank you to all the devoted followers here and visitors who stopped by and voted... during the *8th Year* for the Annual "It's a Wonderful Movie" TV Movie Awards in TEN separate categories... Favorite Family Movie, Christmas Movie, Mystery Movie, Faith/Inspirational Movie, Actor, Actress, Supporting Actor, Supporting Actress, Young Actor, and Young Actress from a Movie that premiered on TV in 2017! *NOTE: All the Winners below are highlighted in Yellow! for "Favorite Faith/Inspirational TV Movie"
To all who voted - I do hope some of your picks were winners! in the "It's a Wonderful Movie" 2017 TV Movie Awards! *Please Note: There will not be any Monetary or Physical Award given out. This is simply our way of honoring our favorite Movies, Actors, etc... Thank You!